The BR Beer Scene: Slovenia - Victim Number 2! Slovenia, which won their first 2010 World Cup match against Algeria, has the honor of being the USA's second victim! Victim number one? Well that would be Robert Green of course. For the uneducated among you, who don't know where Slovenia is, allow me to fill you in. It's West of Italy, North of Croatia, South of Austria, and generally East of Hungary. The capital city is a charming place called Ljubljana, which unlike Baton Rouge, has a loop. Ljubljana is also home to one of the country's two major breweries, Pivovarna Union. 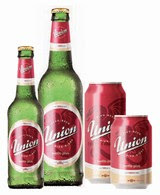 Union is considered the more popular beer in the capital city, which the other major brewery, Pivovarna Laško, is more popular throughout the countryside. Unfortunately it seems that keeping with the trend of this series, both breweries primarily produce mediocre pale lagers. 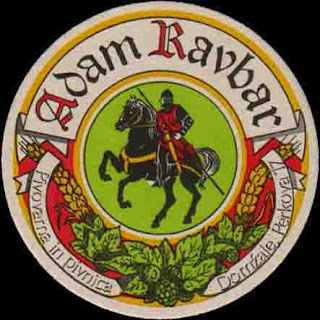 Fortunately, though, I was tipped onto a small brewery called Pivovarna Adam Ravbar, which has no English website, but they have beers listed in styles such as kellerweiss, schwarzbier, pilsner, and dunkel, giving me hope that there is indeed good beer in Slovenia too! This is certainly the beer I'd seek out if I was taking a trip to Slovenia, but sometimes you just have to settle for what the locals love, even if it isn't your favorite style. The Bite And Booze post on Slovenia.